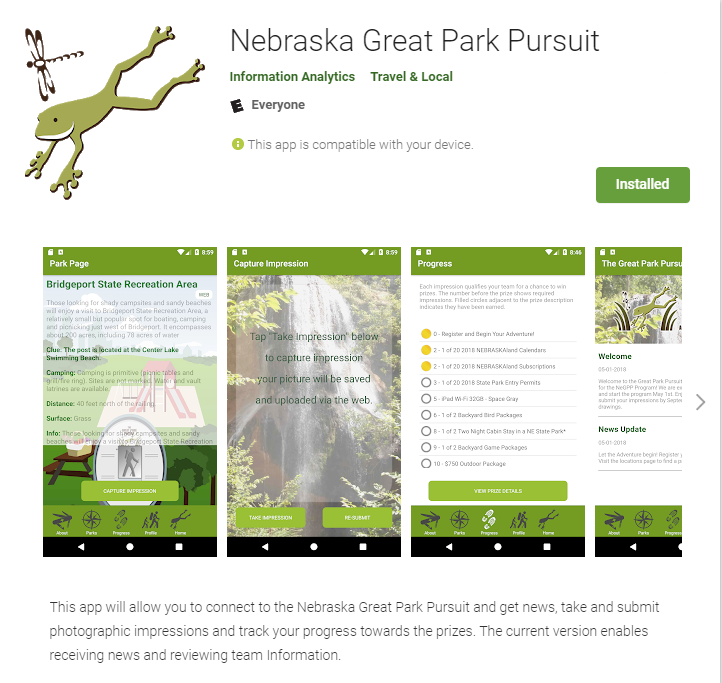 We built a new website, team admin area, NEGPP staff admin area and mobile app for the Nebraska Great Park Pursuit that we released in May 2018 when their registration opened. 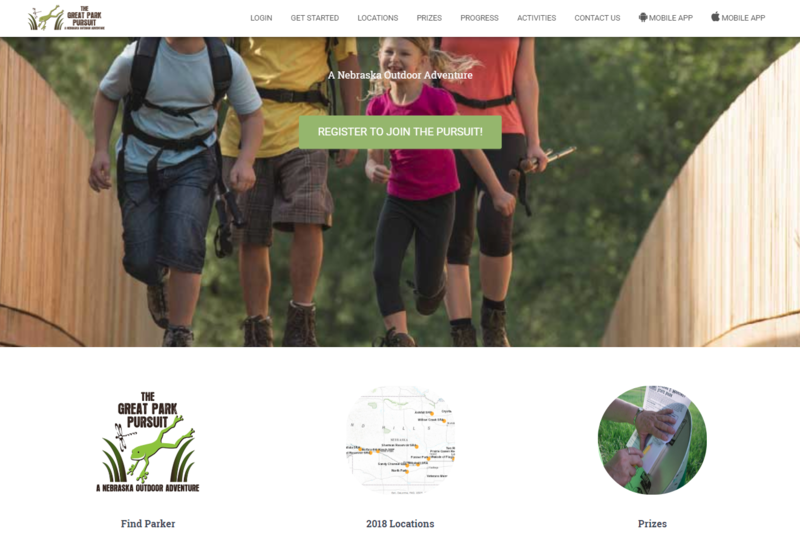 The website allows for participants to sign up their team for the challenge, view prizes available and the location of the parks participating in the challenge. Once candidates are registered, they receive a login to their team admin area where they can update their team information and view their progress. NEGPP staff were also provided an administration area where they can setup a season for each year, create/modify locations and prizes for each challenge and view the current candidate registrations and progress. NEGPP can also close registrations, approve images submitted and a randomizer picks a winner for them for each prize at the end of the season. We also built a reporting engine so results can be viewed and exported via CSV by staff and an alert engine that lets staff modify any abuse of the program. We created a mobile app for both IOS and Android that is available via a free download on each of their stores. The mobile app allows sign up for candidates as well as option to edit their account, and contains a progress monitor, parks locator and ability for users to take pictures while they are visiting each park and submit them to the NEGPP staff for approval.